While that old adage about blondes having more fun is up for debate, there’s one thing we know for sure: Keeping your hue of choice (be it full-on platinum or a shimmery strawberry blond) looking fresh and bright can be an arduous and expensive task. Between all the frequent salon visits, your color could probably use a bit of a boost, and John Frieda® Sheer Blonde® Go Blonder line does exactly that (without adding more stress to your wallet). Ready to see the light? 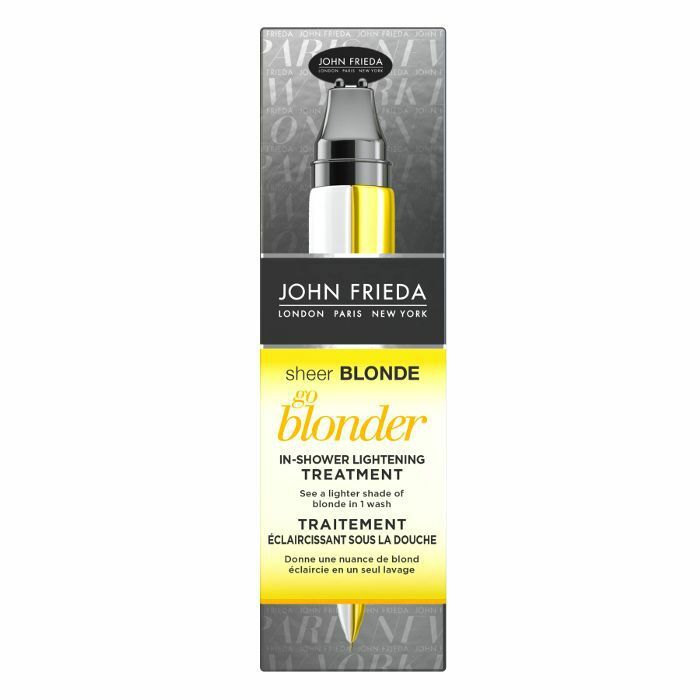 Keep reading to see how these new editor-loved products can help brighten up your blond hair. The first step to brightening up your blond happens in the shower. While we’d love for our hair to withstand weekly touch-ups, that’s not always possible. Instead, give your blond an instant lift with this lightening treatment. Whether you’re looking to brighten darker roots or lighten blond tones, this in-shower hero will keep your hair looking fresh in between colour appointments. 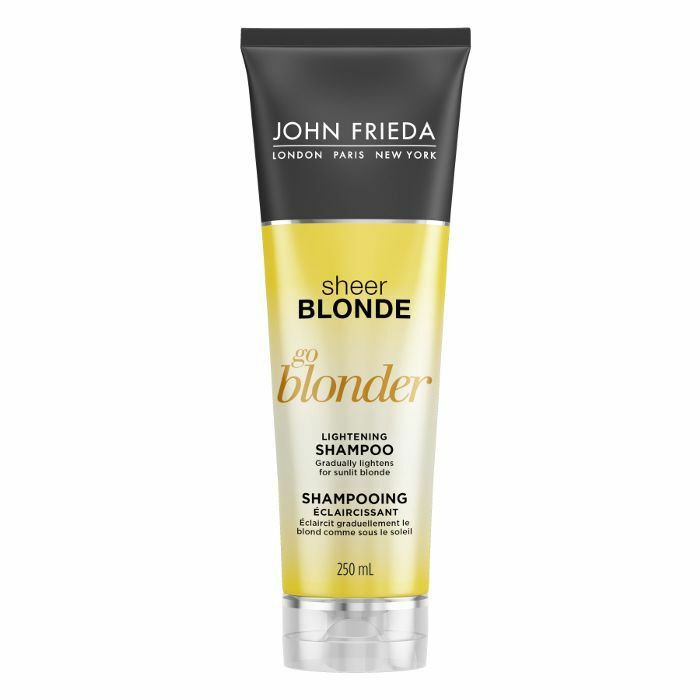 We all know the key component to any blond upkeep routine is to use a shampoo designed specifically for blond locks. And if we can use one that also brightens the color along the way without sacrificing the overall health and strength of our hair, all the better. This lightening shampoo uses chamomile and citrus to revitalize your blond without causing damage. It contains no ammonia, is peroxide-free and will make your strands look and feel as fresh as the day you walked out of the salon. 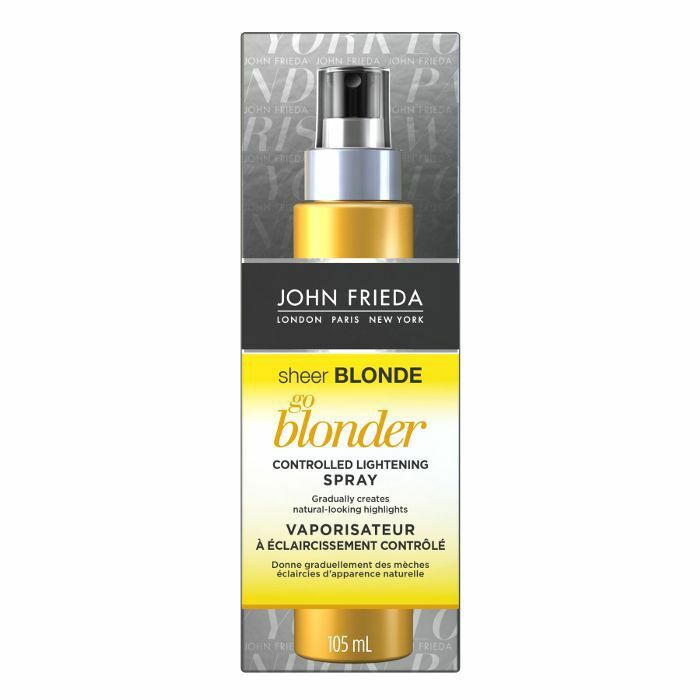 The finishing touch to your shower trifecta, this lightening conditioner, when used with the In-Shower Lightening Treatment and matching shampoo, can help bring your blond up to two levels brighter. The hydrating, softening formula will help give you a light sun-kissed finish that’s perfect for summer. Whether you’re rocking natural tresses or are in between colour appointments, blond highlights are easier to achieve than you may think. This Controlled Lightening Spray helps you gradually go up to one and a half levels brighter. Your heat tools are your friends here, helping activate the targeted lightening formula, giving you customized, carefully targeted highlights. Tell us: How do you keep your blond looking fresh?